How is a doughnut like a coffee cup? 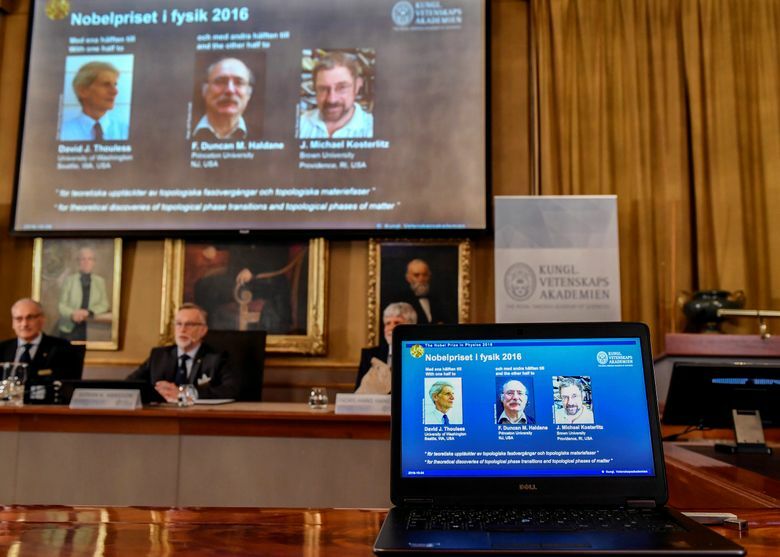 The answer helped three British-born scientists win the Nobel prize in physics Tuesday. Their work could help lead to more powerful computers and improved materials for electronics. 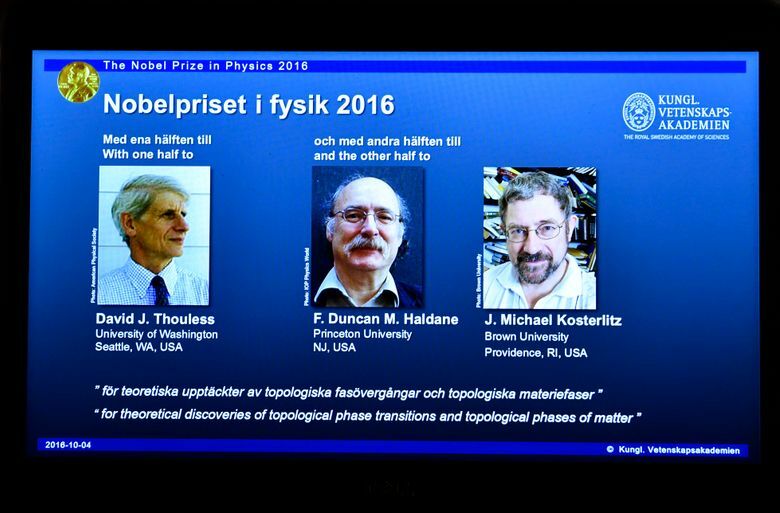 David Thouless, Duncan Haldane and Michael Kosterlitz, who are now affiliated with universities in the United States, were honored for work in the 1970s and ’80s that shed light on strange states of matter. 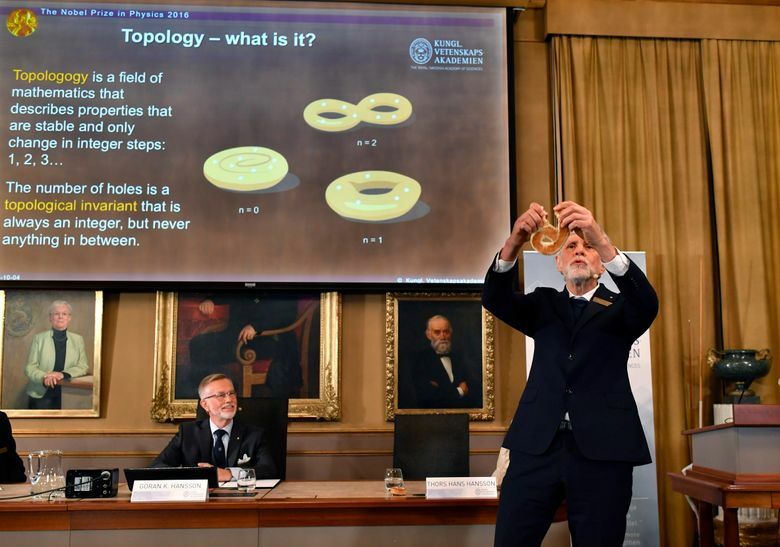 “Their discoveries have brought about breakthroughs in the theoretical understanding of matter’s mysteries and created new perspectives on the development of innovative materials,” the Royal Swedish Academy of Sciences said. 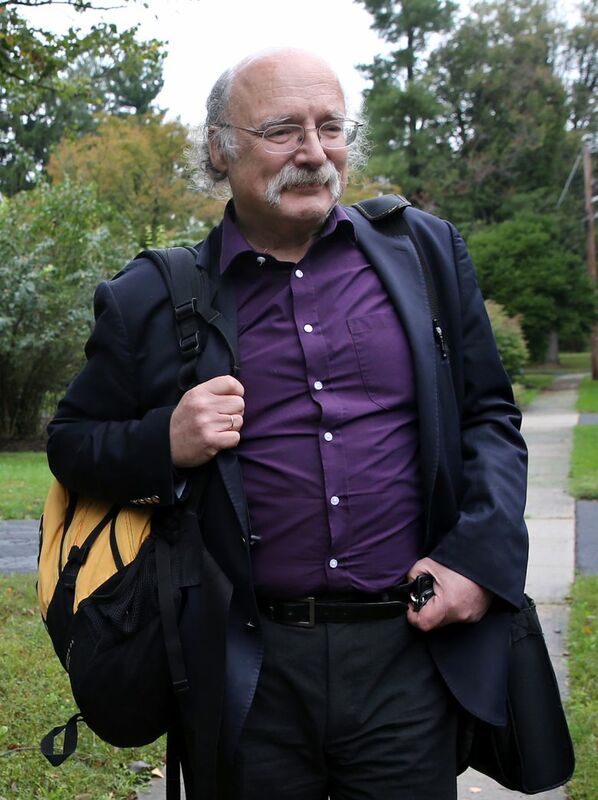 Thouless, 82, is a professor emeritus at the University of Washington. 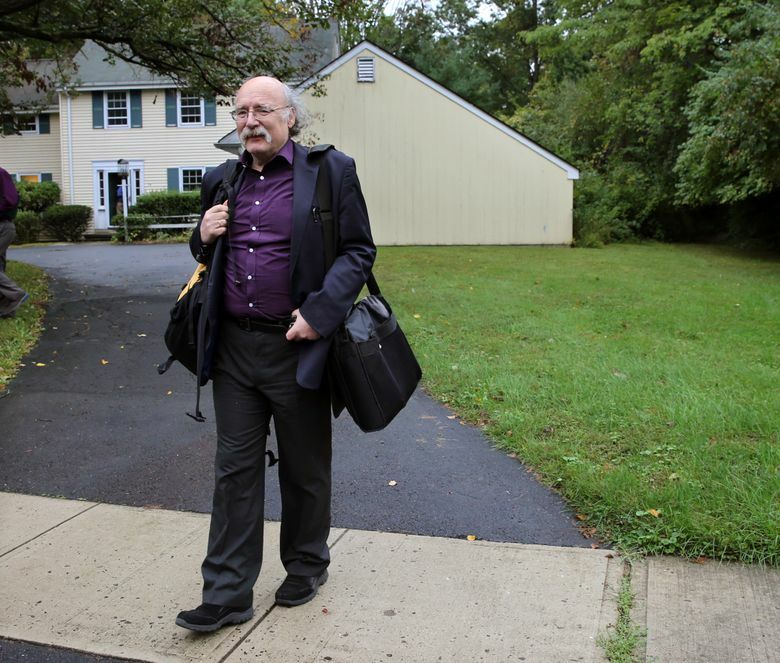 Haldane, 65, is a physics professor at Princeton University in New Jersey. 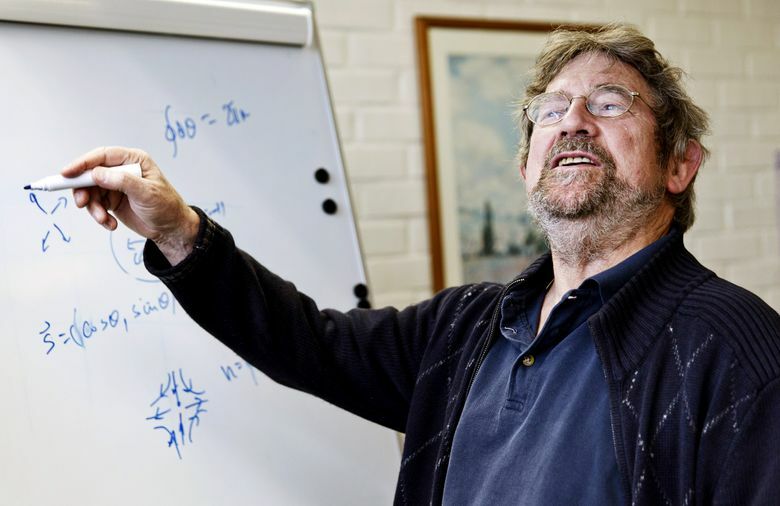 Kosterlitz, 73, is a physics professor at Brown University in Providence, Rhode Island, and currently a visiting lecturer at Aalto University in Helsinki. 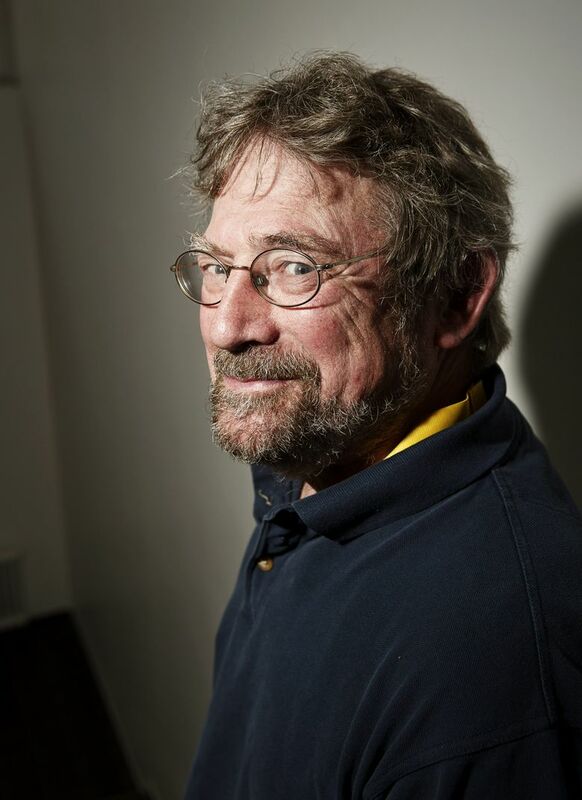 The 8 million kronor ($930,000) award was divided with one half going to Thouless and the other to Haldane and Kosterlitz. They investigated strange states of matter like superconductivity, the ability of a material to conduct electricity without resistance. Their work called on an abstract mathematical field called topology, which presents a particular way to describe some properties of matter. In this realm, a doughnut and a coffee cup are basically the same thing because each contains precisely one hole. Topology describes properties that can only change in full steps; you can’t have half a hole. “Using topology as a tool, they were able to astound the experts,” the academy said. 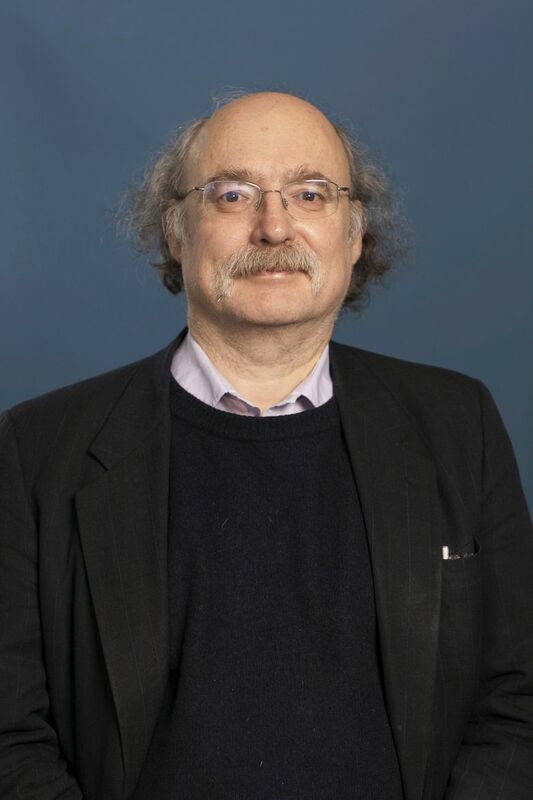 For example, in the 1970s, Kosterlitz and Thouless showed that very thin layers of material — essentially containing only two dimensions rather than three — could undergo fundamental changes known as phase transitions. One example is when a material is chilled enough that it can start showing superconductivity. Scientists had thought phase changes were impossible in just two dimensions, but the two men showed that changes do occur and that they were rooted in topology. “This was a radically new way of looking at phases of matter,” said Sankar Das Sarma, a physicist at the University of Maryland in College Park. 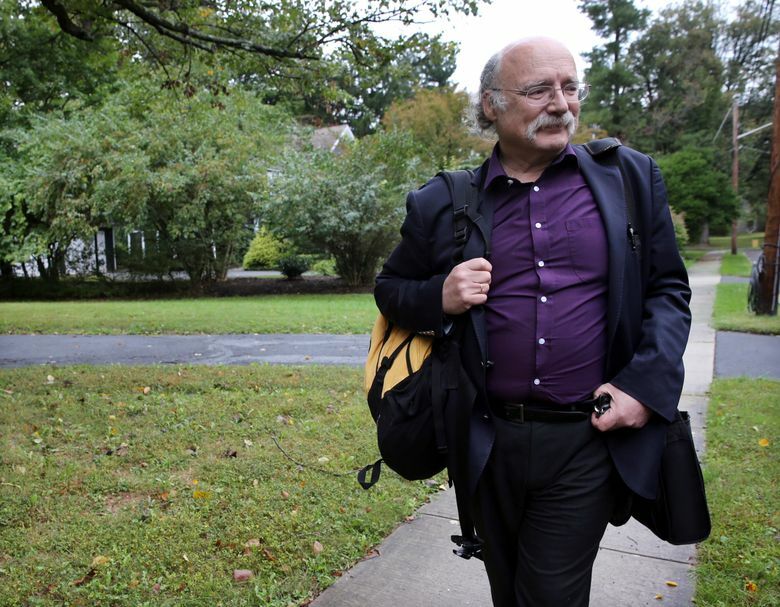 “Now everywhere we look we find that topology affects the physical world,” he said. Haldane was cited for theoretical studies of chains of magnetic atoms that appear in some materials. He said he found out about the prize through an early morning telephone call. Kosterlitz, a dual U.K.-U.S. citizen, said he got the news in a parking garage while heading to lunch in Helsinki. “I’m a little bit dazzled. I’m still trying to take it in,” he told AP. 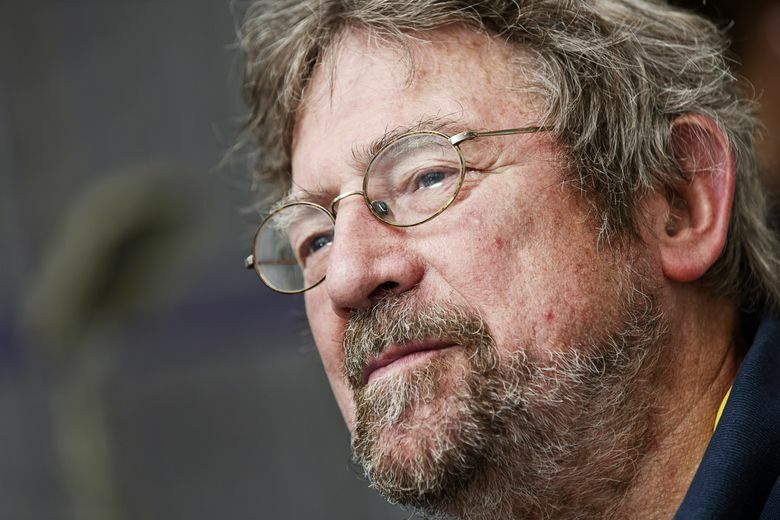 Nobel committee member David Haviland said this year’s prize was more about theoretical discoveries even though they may result in practical applications. 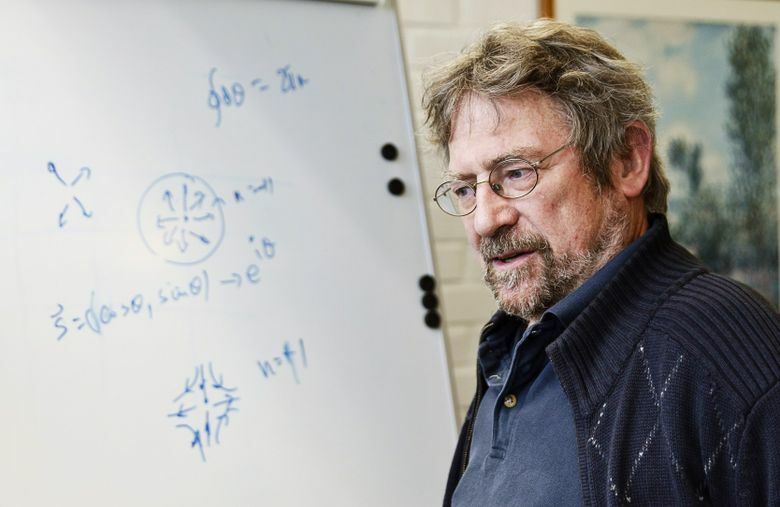 “These theoreticians have come up with a description of these materials using topological ideas, which have proven very fruitful and has led to a lot of ongoing research about material properties,” he said. 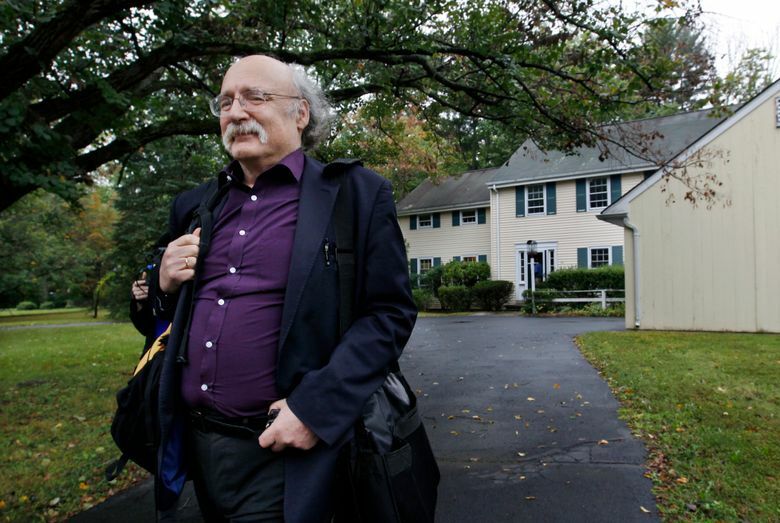 Haldane said the award-winning research is just starting to have practical applications. “The big hope is that some of these new materials could lead to quantum computers and other new technology,” he said. 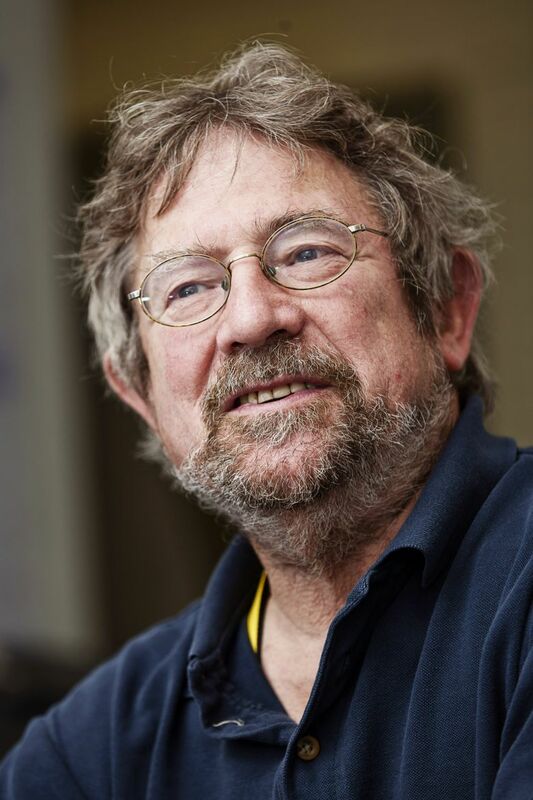 Quantum computers could be powerful tools, but Kosterlitz was not so sure about the prospects for developing them. This year’s Nobel Prize announcements started Monday with the medicine award going to Japanese biologist Yoshinori Ohsumi for discoveries on autophagy, the process by which a cell breaks down and recycles content. 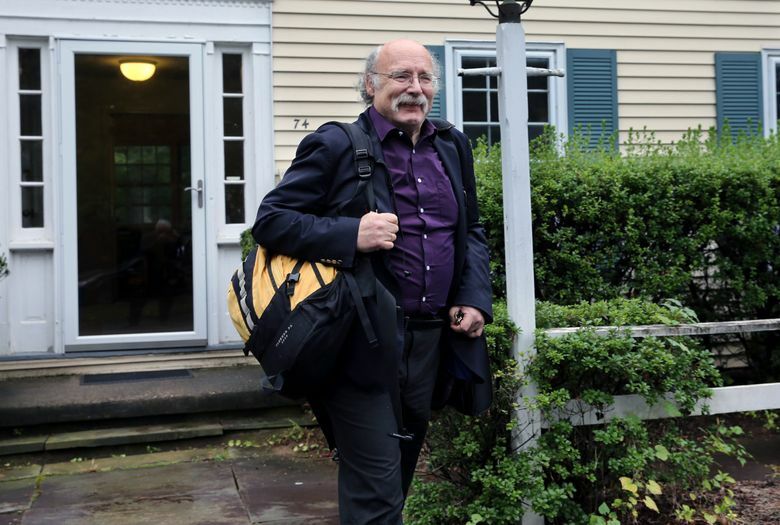 The chemistry prize will be announced on Wednesday and the Nobel Peace Prize on Friday. The economics and literature awards will be announced next week. 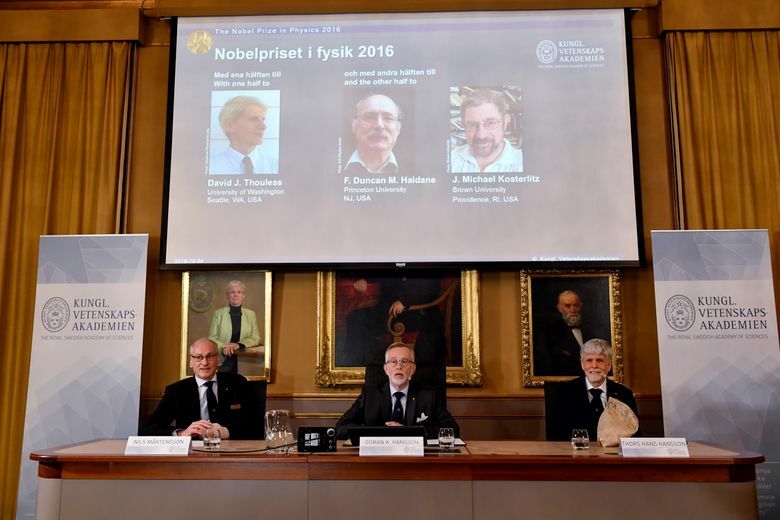 Besides the prize money, the winners get a medal and a diploma at the award ceremonies on Dec. 10, the anniversary of prize founder Alfred Nobel’s death in 1896. Malcolm Ritter reported from New York. Karl Ritter reported from Stockholm. Associated Press writers Keith Moore in Stockholm, Matti Huuhtanen in Helsinki and Shawn Marsh in Trenton, New Jersey, contributed to this report.